The end of the Spanish Civil War meant the end of the republican hope, tragically broken by the nationalistic victory, and the beginning of a difficult republican exile lasting half a century. The Spanish colony in Argentina, protagonist of the old economic immigration, looked from the other side of the Atlantic Ocean a civil war the felt to be its own even if so far. Although the Argentinean society, both Spanish and not, was generally favourable to the republican cause, the government initially chose an abstention’s position and than recognized the new Spanish government, hiding a conservative policy supporting the national cause. 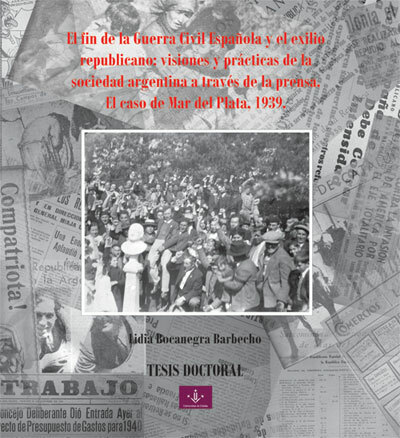 The Spanish conflict was one of the events that most had an influence on the Argentinean society and politics dividing parties, families and Regional Centres. The government passed measures against any possible political extremism, turned the Communist party out to illegality, forbade foreign associations and limited the migration policies, as far as possible. Therefore the republican refugees became undesirable exiles and, such as the Jews and the other political exiles, they didn’t find their place in a country whose ruling class was influenced by the nazi-fascist tendencies. First the Civil War and then the exile pressed the Spanish-Argentinean society to create and intensify a system of assistance working through hundreds of pro-republican organizations and committees that anarchists, communists and moderates tried to unify under a common purpose: to help “brothers” in the Mother Country fighting a good fight. Therefore Argentina became the South-American country that mostly helped the Spanish Republic and its refugees, even though the conservative government prevented them from arriving as they were considered possible left-wing agitators. The press, both independent and not, took part in the event influencing the public opinion and supporting or harshly criticizing the Civil War. Mar del Plata, a town in the Buenos Aires province mainly set up by a Spanish immigrant population, shared these events because its local press had an important role in spreading the truth about the Spanish Civil War and the Republican refugees.